These stunning 2 bedroom, 2 1/2 bath luxury Deer Valley condos are located in the beautiful Empire Pass community. Each Arrowleaf condo offers ski-in ski-out access, breathtaking views, gourmet kitchen with top-of-the-line appliances, spacious floor plan, and elegant mountain décor. Each bedroom offers a private bath. 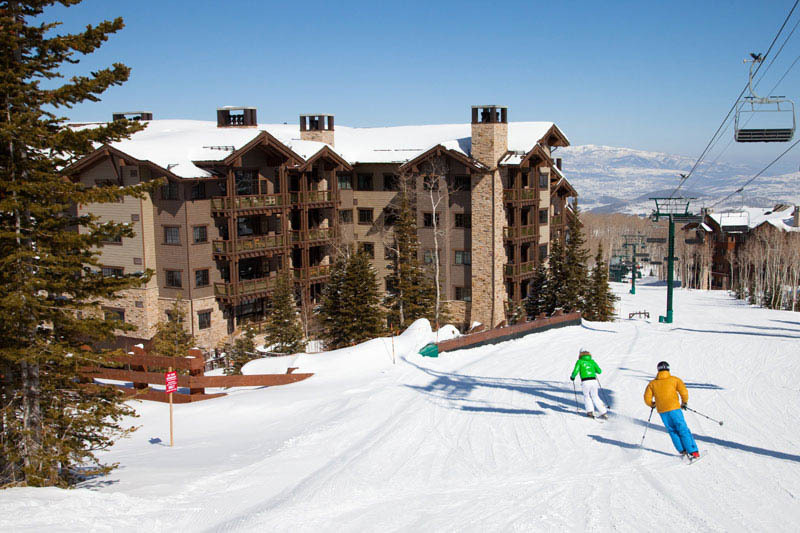 This Deer Valley ski lodge provides an outdoor hot tub area, common lounge with pool table, complimentary shuttle service, heated parking garage and all the luxuries needed for a perfect Deer Valley ski vacation. Main Street Park City is only a 10 minute drive away. Arrowleaf Lodge - 2 Bed Condo #306 is rated 5.0 out of 5 by 1.